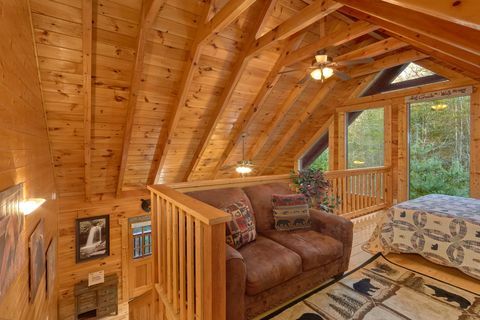 This beautiful Wears Valley, TN cabin rental places visitors in one of the Smoky Mountain area's most photographed valleys. 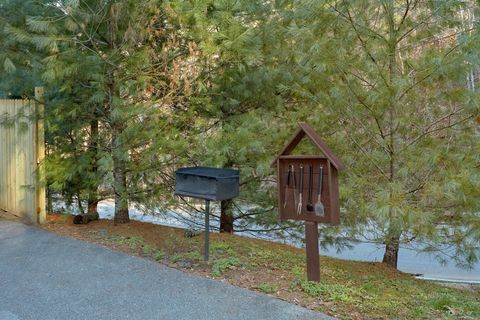 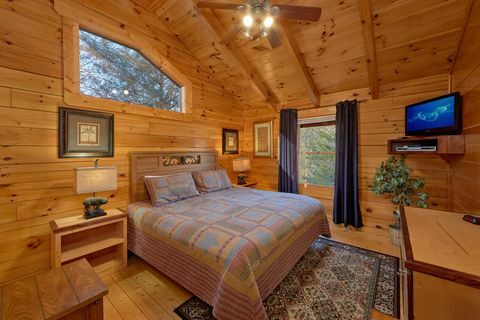 Scenic Wears Valley draws visitors from all over the U.S. and abroad, and you and your family will enjoy the tranquility afforded by your cabin rental's peaceful location. 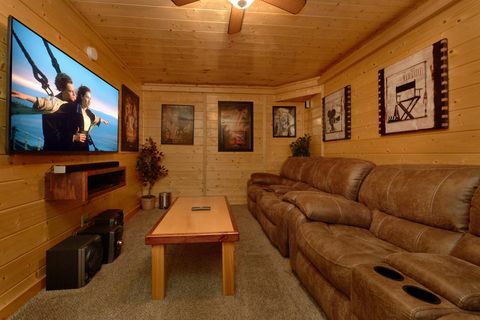 "April's Diamond" is a great cabin rental with a theater room that allows the family to enjoy movies in a private relaxed setting with plush, leather theater seating. 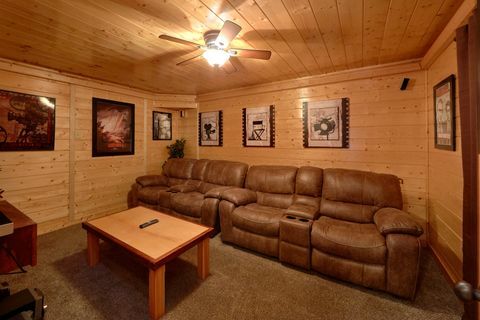 Grab some popcorn from the fully equipped kitchen and enjoy a special movie night with the entire family! 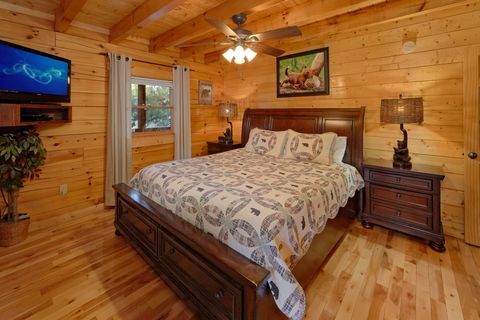 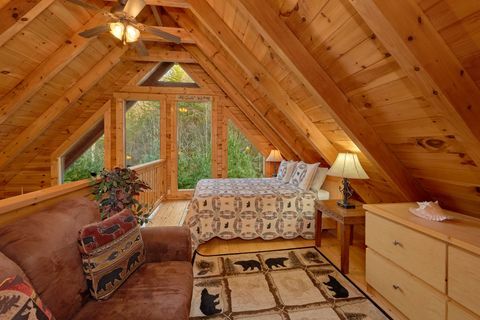 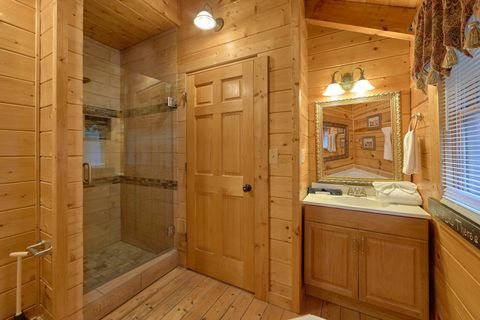 This Wears Valley, TN cabin rental houses two king bedrooms, a sleeper sofa in the game room, and a queen bed in the loft, allowing this cabin to sleep up to 8 guests comfortably. 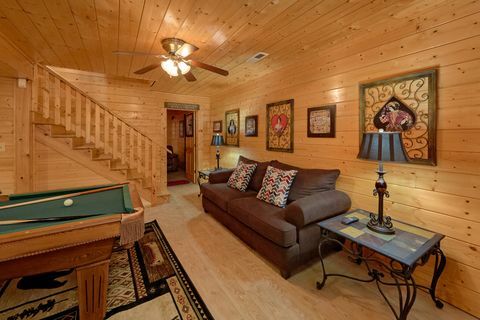 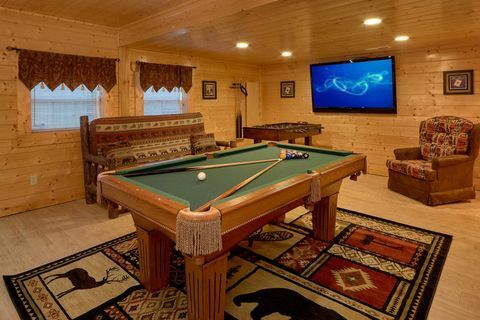 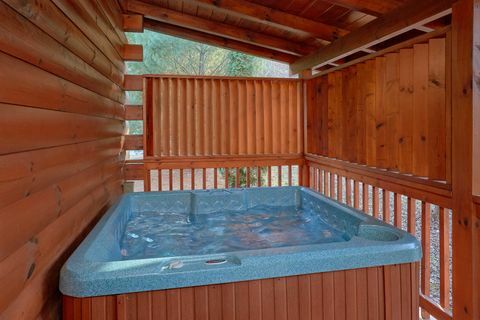 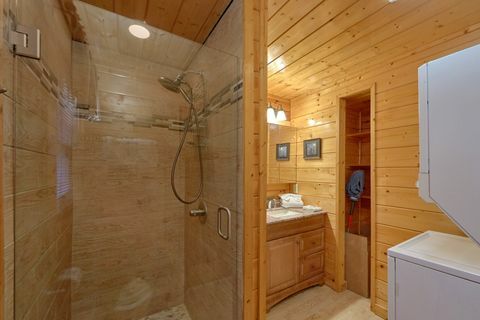 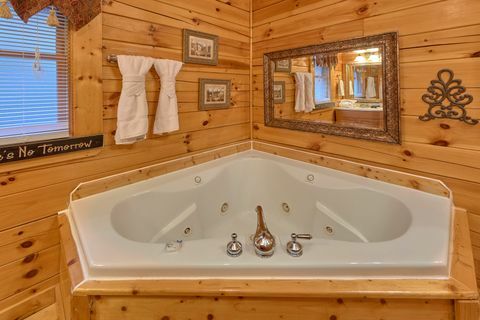 Other cabin features at "April's Diamond" includes Internet access, a family-size hot tub with a privacy wall, jacuzzi tub, gas-log fireplace, and game room with a pool table. 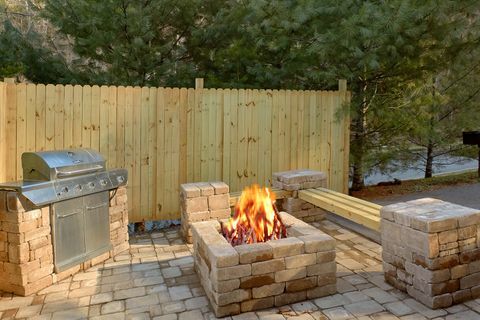 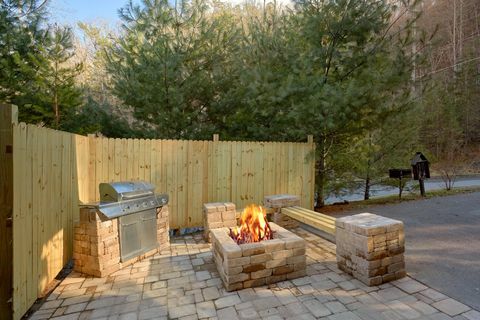 For a great evening relaxing in the great outdoors, you can always enjoy sitting out on the new outdoor patio with a gas grill or relaxing by the warmth of the outdoor fire pit. 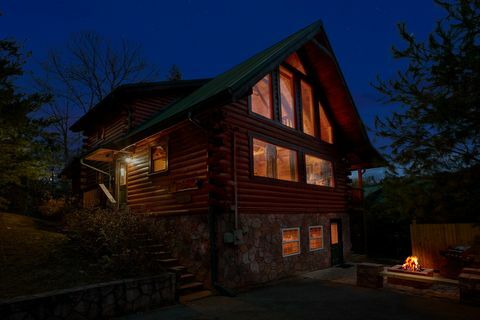 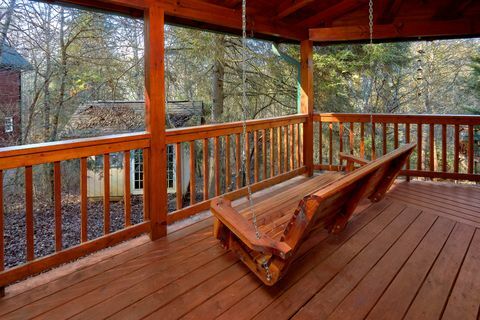 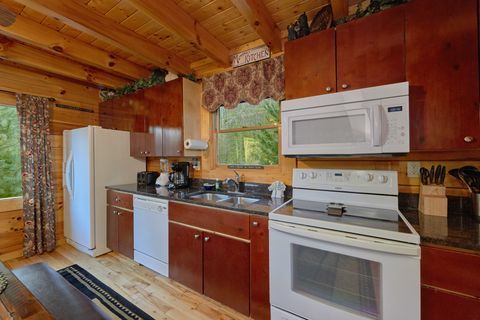 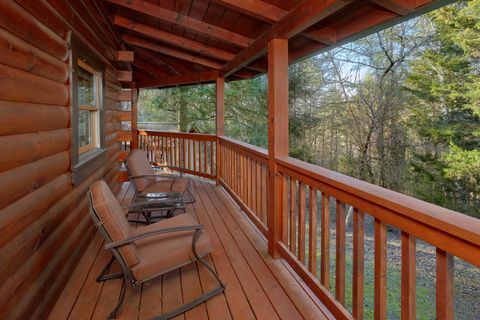 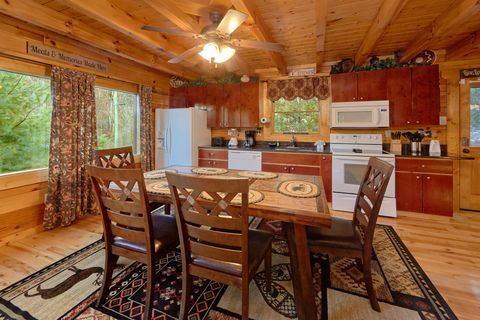 This Wears Valley, TN cabin rental also offers a scenic route to the Great Smoky Mountain National Park without going through the traffic of Pigeon Forge! 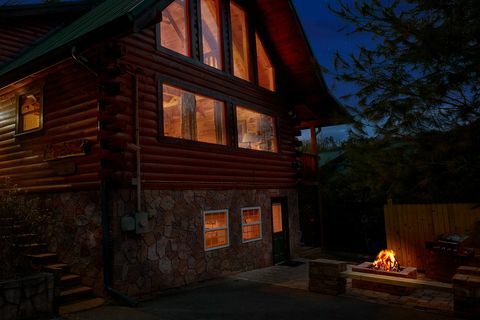 Additionally, nearby Townsend and Cades Cove provide guests with relaxing, enjoyable day trips in the Smokies that are only minutes away. 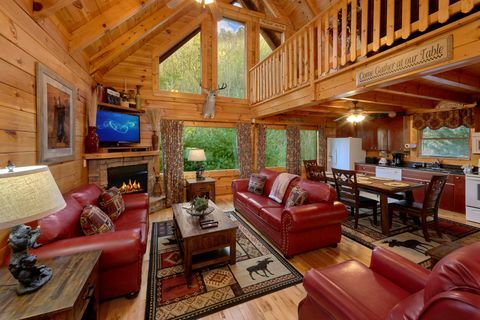 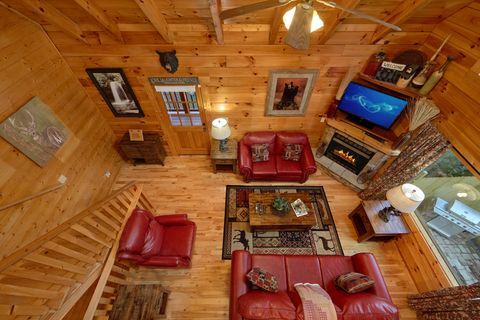 Book your lovely cabin rental with a theater room ONLINE for immediate SAVINGS, start making your own memorable Smoky Mountains adventures today! 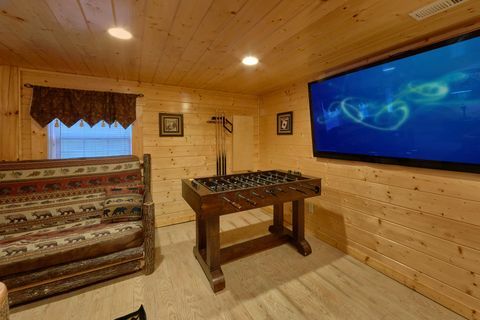 (Please note that the air hockey table in the pictures is no longer available in this cabin).